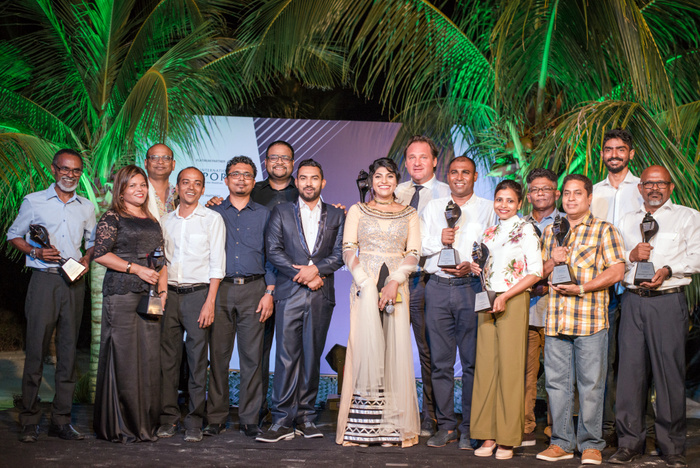 Maldives Travel Awards People’s Edition 2018 will be launched on June 20 at One&Only Reethi Rah resort, organiser Maldives Association of Travel Agents and Tour Operators (MATATO) has announced. In a statement, MATATO said a cocktail reception for media and partners will be held at One&Only Reethi Rah. The Maldives Travel Awards People’s Edition recognises successful pioneers and long-serving individuals in the travel industry of Maldives. Through this award, MATATO aims to recognise the professionals contributing to the growth of the industry, and acknowledge their talent, dedication and achievements. This year MATATO will confer the award to five individuals, selected based on their contribution to the industry. Winners will be chosen by a panel of veterans, from sectors across the industry. “… we believe that the recipients of this award will be a testament to the country, of the success of this industry,” MATATO said, in the statement. Initiated in 2012 by MATATO, Maldives Travel Awards celebrate and honour the best tourism and hospitality products in the Maldives, while fostering relationships with suppliers and local travel agents. From 20 categories in 2012, the awards have now expanded into three editions totalling 55 categories. Like last year, MATATO will host three editions: the People’s Edition, which recognises successful pioneers and long serving individuals in the tourism industry, a Guesthouse Edition, which celebrates the outstanding performance of the up and coming guesthouse sector, and the Gala Edition, which is exclusive for winners in the categories for resorts, airlines and liveaboards. Nominations are being accepted for the Gala Edition. Set on one of the largest islands in North Male Atoll, the all-villa One & Only Reethi Rah resort offers an unparalleled array of luxurious options to create an unforgettable holiday. Sleek and spectacular, with unprecedented privacy, One&Only Reethi Rah inspires extraordinary journeys for the soul. From extensive outdoor adventure options, including snorkelling and diving in the exotic underwater world, to the mesmerising One&Only Spa, guests are spoilt for choice. The resort offers 122 thatch-roofed villas and a wide range of culinary experiences, including the Botanica restaurant, which offers the ultimate in organic garden-to-fork cuisine, and Rabarbaro, which offers genuine Italian fare, as well as a superfoods breakfast menu. Guests at One&Only Reethi Rah can also enjoy an array of spa experiences, including private sunrise yoga classes on a secluded sandbank, a ‘Twilight Spa Rendezvous’ massage experience under the stars, ‘foot rehab’ – a concept created by the resident yoga instructor and the Bastien Gonzalez therapist which combines yoga and foot massage, Barber+Blade – a men’s grooming and shaving studio and a Spa Courtyard featuring a vitality pool, outdoor sauna and steam room.